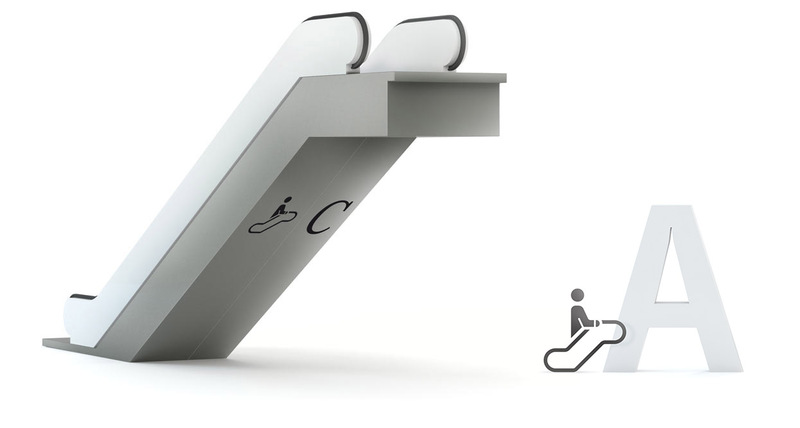 to help visitors of a shopping center find their way. SBS is a family shopping and entertainment center in Krasnodar. 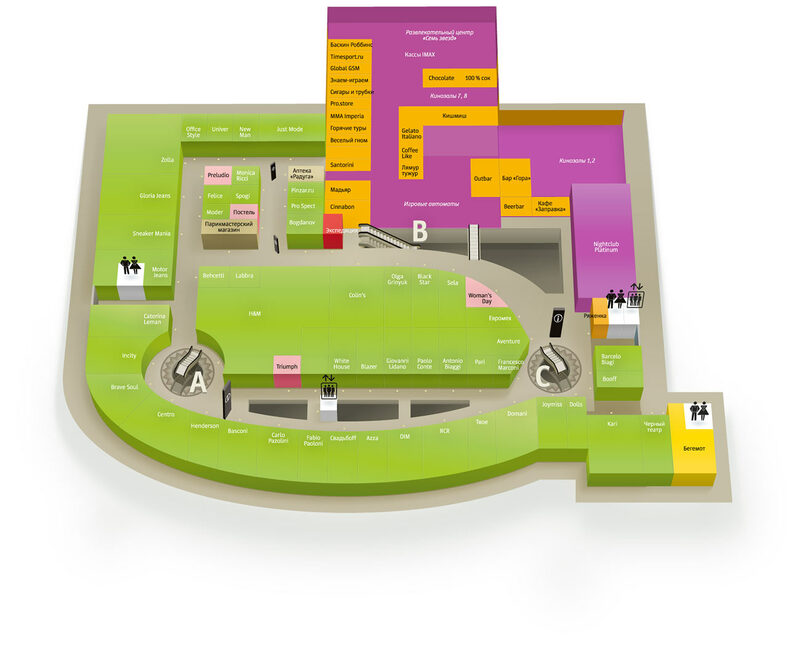 It has a shopping area, video arcade, bowling alley, cinema, zoo, children's playground and food court. 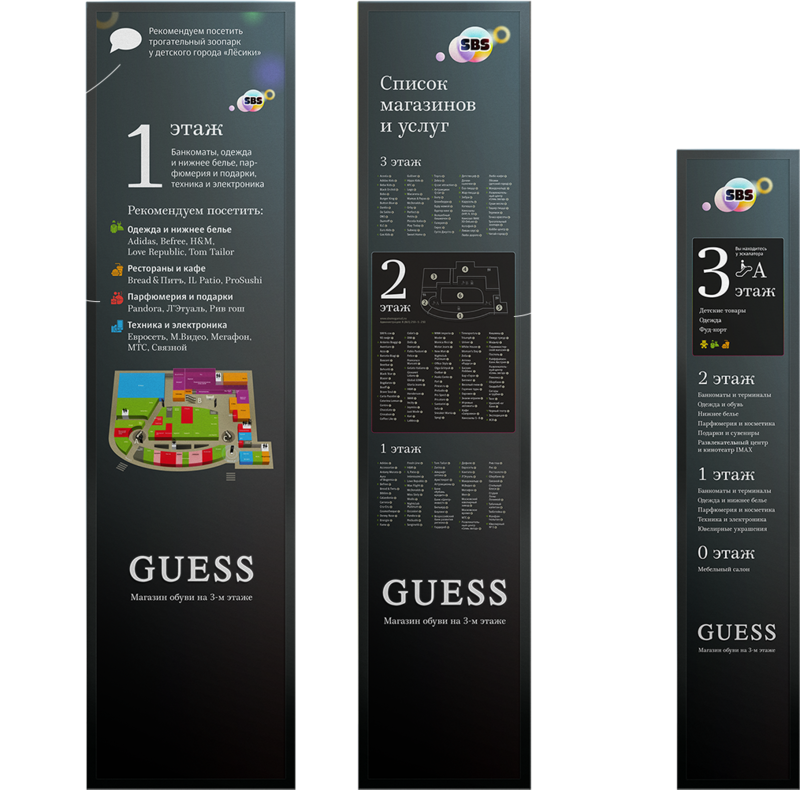 To help visitors find their way in the variety of shops and entertainment venues, a complete navigation system for the center was created at the studio. 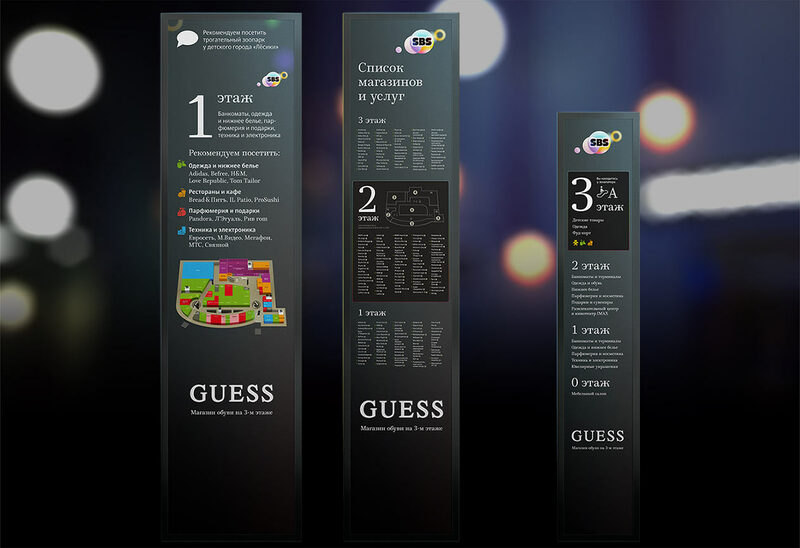 Signs with a complete list of stores and a detailed map of the shopping center are placed near the entrance. 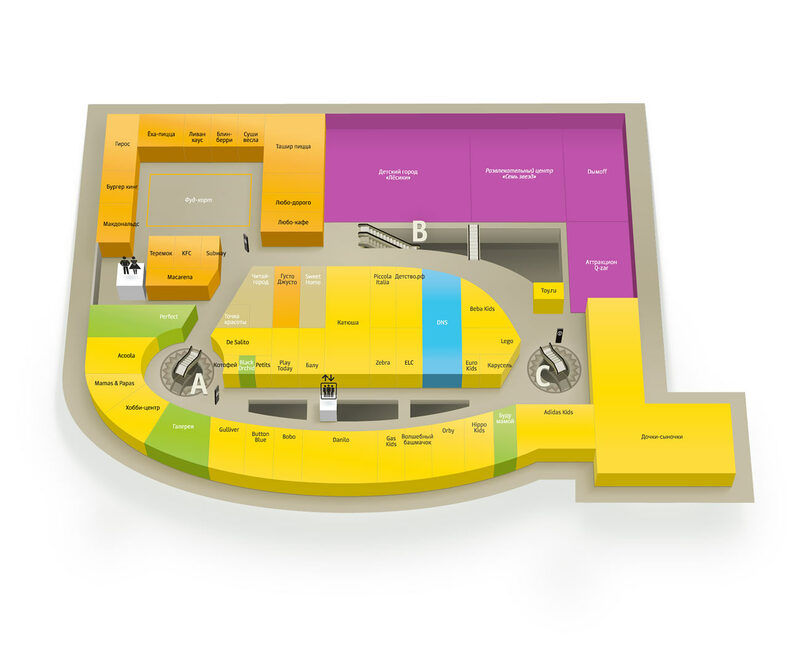 Smaller versions of the signs with a generalized store list are located near the escalators to help visitors find the right floor. 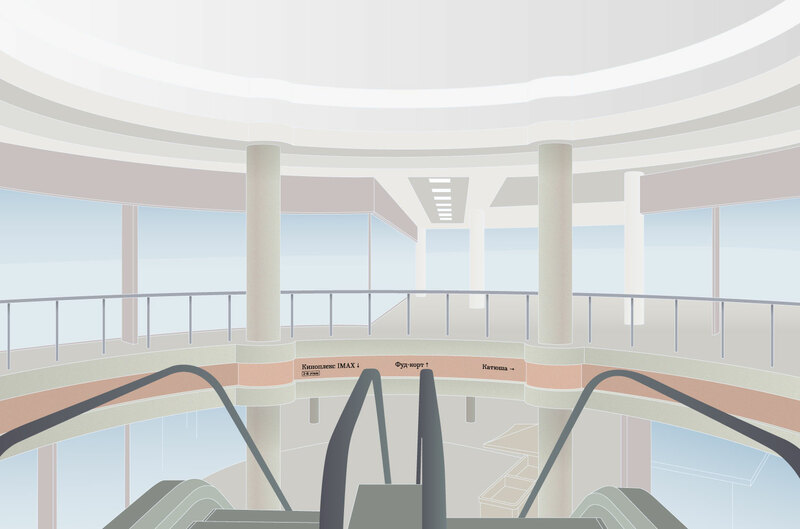 Escalators, the center’s locations with most foot traffic, have numbers which make them easier to find on maps and in real life. 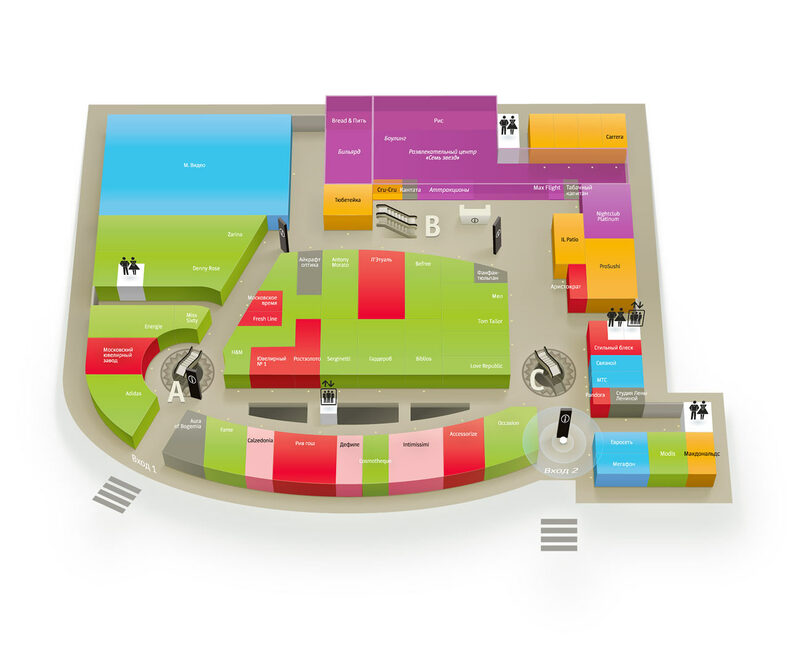 Areas with similar goods and services are filled with one color. Icons show service areas and exits. Navigation elements are placed both in the center's galleries and between the floors. 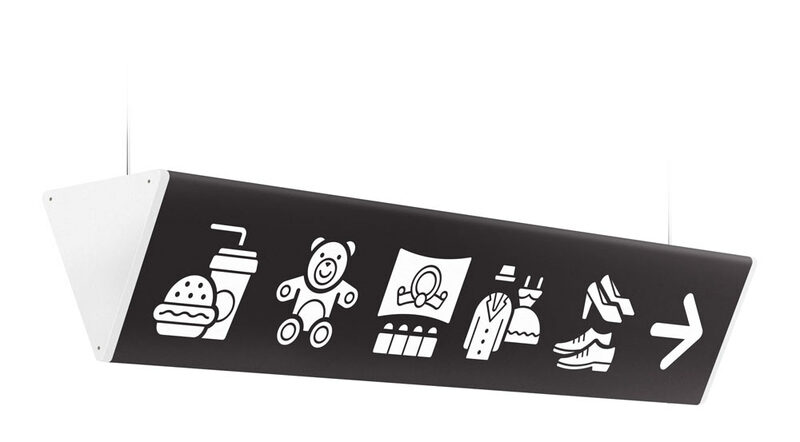 Consoles with replaceable pictograms hang in passageways to show the direction of travel. The icons represent various services, they can be easily distinguished from advertising and are seen from a distance. 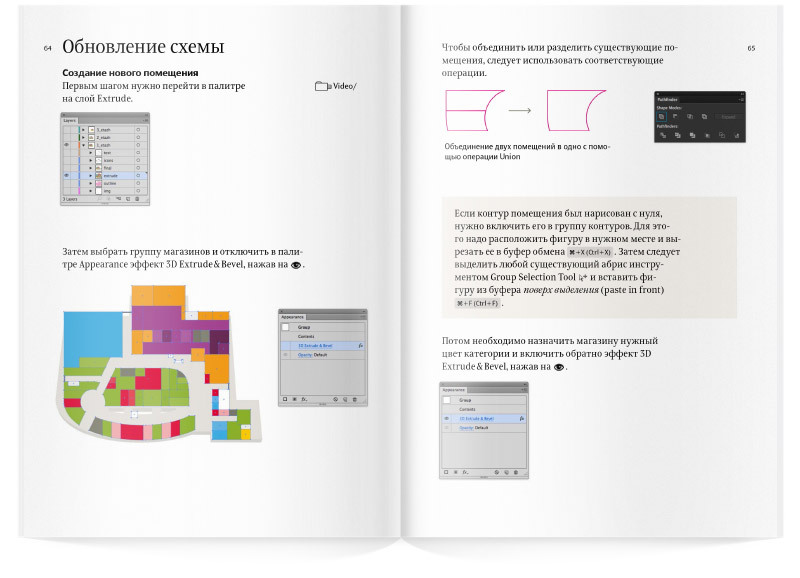 Templates developed at the studio allow SBS employees to make changes and create new navigation elements using to the detailed guide with rules and examples.